As is the case for many GPs, Carrie is constantly juggling the demands of her role as GP partner in her surgery with the equally challenging demands of being mum to two little superheroes at home. 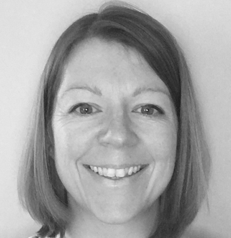 Over the last few years, she has developed a special interest in Perinatal Mental Health and has worked with the RCGP on a number of educational projects. Most recently Carrie has been working as RCGP Clinical Champion in this area, leading on a 1 year GP Education Project in this area throughout the Wessex Region. She has given many lectures, teaching sessions, written articles, published blogs, hosted twitter chats and worked hard to raise awareness amongst GP colleagues of this important area. She passionately believe GPs can make a huge difference by promptly picking up and effectively treating perinatal mental health issues in their patients and in doing so, can supporting the wellbeing of the whole family now and in the future.